Professional digital EMS unit with 9 EMS programs and 3 TENS. 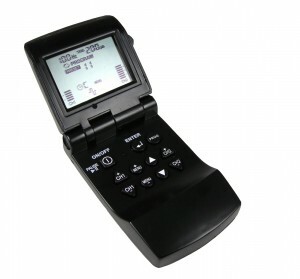 The digital EMS/TENS unit combines the latest technology in NMS and TENS therapies, with a stylish “flip” design in one easy to operate unit. The Digital EMS and TENS Twin Stim Combination Unit allows healthcare providers the flexibility to meet insurance requirements with the labelling for a TENS as well as NMS. Symmetrical Bi-phasic rectangular is the default waveform, which is effective and comfortable for the majority of people. The waveform refers to its shape as a graph of signal strength plotted against time. A bi-phasic waveform means that the current flows in both directions. In the symmetric bi-phasic rectangular wave the current is equal in magnitude and duration in both directions. this will result in both electrodes being the active electrode at equal alternate phases of the pulse. Equal sensation will come from both electrodes. Unit, leads, batteries, electrodes, instruction manual and case. © US Medical Inc. - All Rights Reserved.